The Samsung Galaxy Mega 2 surfaced at the FCC yesterday and today, we have a leaked picture of the phablet/tablet, the Galaxy Mega 2 aka the Galaxy Mega 7.0. The device has leaked, thanks to a casemaker. The picture shows us what we had expected from the FCC visit. 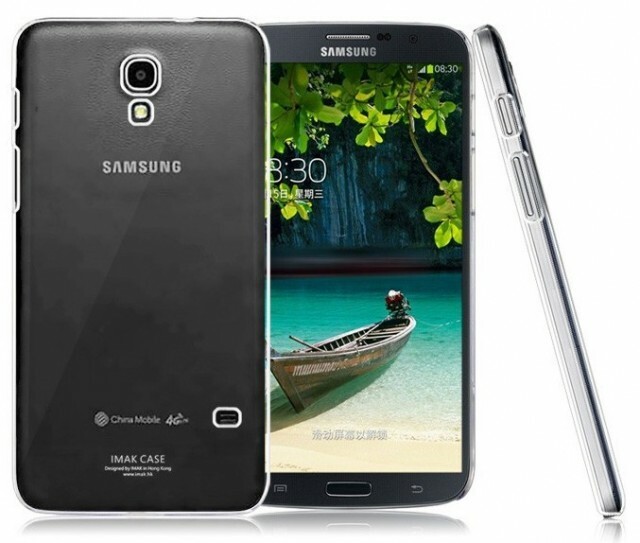 The Galaxy Mega 7.1 is a massive device, packing in a 7-inch display in a very slim body. While we don’t have any other specs of the device, we now have a picture of the device. The picture shows us the device in a case. The device does seem to be pretty slim with narrow bezels. The 7-inch display might lead you to believe it’s a tablet but the slim bezels do give it a phone feel and the FCC listing also revealed that the phone will come with cellular connectivity. We don’t know when Samsung plans to announce this massive phone tablet. There’s a Samsung event on July 12, where Samsung is expected to announce the Tab S tablets, so we might see the Mega 7.1 unveiled there. As always, we’ll keep you posted.